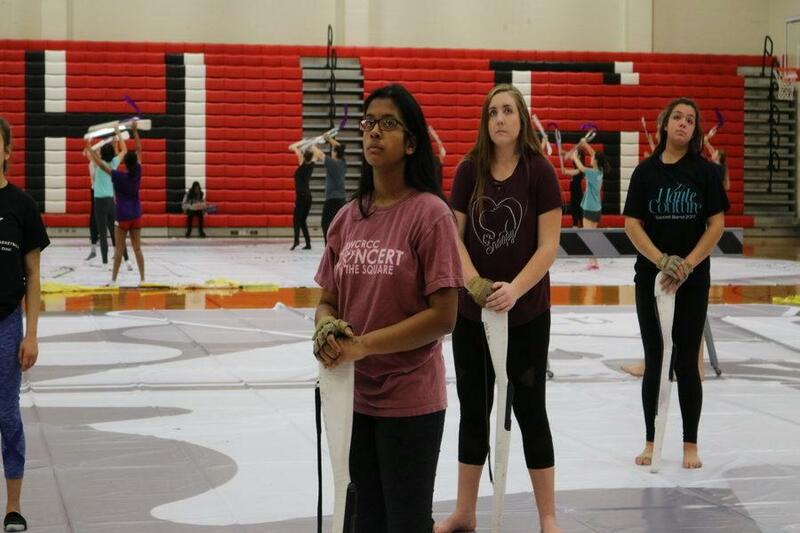 The CHS winter guard performers put on their game face during their practice. Last Saturday, the team earned the second highest score in the nation so far this season. For most sports, athletes leave competitions looking dirty and in need of a shower. However, the Coppell High School winter guard team got its job done while also keeping a polished look—and they got it done well. Last Saturday, the team hosted the WGI Dallas Regional – Winter Guard International and competed against 40 other teams. The teams were split into four groups for the preliminary round; 18 teams would be advancing to finals. The CHS team placed first in its group, and seized second in the finals. By the end of the competition, it received the second highest score given across the nation this season. Although the team received a second place honor in a previous performance they participated in, that competition was much smaller and more local than last Saturday’s. 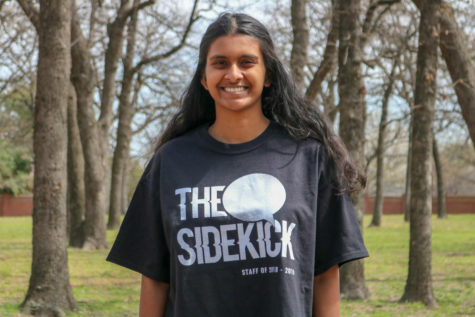 According to CHS junior Hannah Tucker, who has been on the team since her freshman year, Saturday’s win excited the team not only because it was nationwide, but also because they emerged victorious over its rivals, Allen High School. The team is a close-knit group, largely because it welcomes new members even if they have never played the sport before, which is rare among high school athletics. “Everyone learns as a group, which kind of bonds everyone together more,” Tucker said. As aforementioned, winter guard is an aesthetic sport. After deciding a concept for the show, the team puts together props, costumes and music to complement it. The performance takes place on a tarp made of canvas material. “All the parts combine to represent the feeling of the show,” Tucker said. On Feb. 21, the team will display its talents again for the Dance Department Showcase. About 10 days after, on March 4, it will participate in the WGI Austin Regional.